We are committed to improving the health and wellbeing of young people by offering a range of support, information, advice and activities. 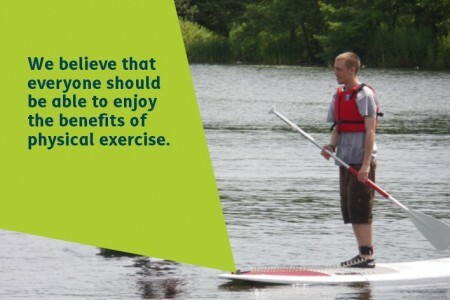 We support young people within YMCA Norfolk accommodation services and those within the community to make lifestyle choices that improve their health and well-being. For us health & wellbeing is about so much more than just physical exercise and fitness, rather it is about wellness in Body, Mind and Spirit. Physical fitness is often an important step in that journey and one through which you can see benefits in emotional and spiritual health. By providing physical activity sessions, healthy eating programmes, counselling and self-esteem courses, we strive to improve young people’s health and wellbeing through a holistic approach. We also signpost young people to receive specialist information and advice about issues such as mental health and substance misuse. How we help improve health and wellbeing? Homeless young people often suffer from poorer physical health compared to their peers. We encourage everyone within YMCA provisions to make positive health choices. This includes accessing projects and activities that improve physical health and fitness and developing and understanding of the effects of diet and smoking. Young people’s emotional well-being is vital for progression towards independent living. This can be influenced by many social and emotional factors such as; relationships with family and friends, finances, health and personal values. We provide support, workshops and projects to develop confidence, self-esteem, resilience, healthy relationships and address issues such as stress and depression. We take a holistic approach to supporting young people to lead healthy lives developing their mind, body and spirit. We look to provide opportunities for the exploration and enrichment of spiritual health to encourage tolerance, acceptance, compassion and cooperation.